Around The Sun Heating and Cooling has been providing Professional Cooling and Heating Service in Phoenix, Paradise Valley, Scottsdale, Gilbert, Mesa, Tempe, Chandler, Awatukee, Apache Junction, Gold Canyon and Fountain Hills since 2006. Our Certified Technicians provide expert service for both Commercial and Residential Cooling and Heating . With the crazy triple digits in AZ, my ground floor unit went out all of a sudden overnight. I had to look for a solution on a Sunday but the well known “big kahunas” in AZ were very cryptic and shady in their response. I waited till Monday and asked a reliable source for options. They recommended Around the Sun. Sal the chief technician picked up my call immediately and came out as he promised in less than 3 hours after finishing off another job in the area exactly as he promised. He called me to confirm he was on the way. Within 30 minutes he had diagnosed the issue, gave his honest opinion as far as options to consider and fixed it. He had the part readily available. He knows his craft well. He gave further guidance on coping with our unique AZ weather. Highly recommended. Around the Sun Heating &amp; Cooling is a top-notch company that puts customer satisfaction first. 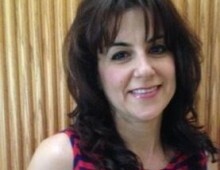 I worked directly with Sal, the owner, and was impressed by his fast response, integrity and dependability. He installed a new AC and furnace in my home and he delivered everything he promised and ahead of schedule. His prices were also more reasonable than the other AC company that gave me an estimate. I will be referring all my family and friends to Around the Sun Heating and Cooling. Finally a business you can trust! Sal has been servicing our HVAC units for many years and I can’t recommend Around the Sun more strongly. We recently had to replace one of our two heat pumps. Sal gave us an excellent price on the unit. Installation went very well – Sal’s team was fast, efficient and extremely professional. Sal insists on running his company with the highest levels of integrity and quality – truly rare in today’s business world. Sal will be my HVAC guy for as long as he’s in business. I had used at least 7 different a/c companies before finding “Around the Sun”. I have called them out more than 5 times for repairs and servicing, and I just had them replace my entire system (2 air handlers and 2 heat pumps) They are the best. The owner, Sal, and his employees are extremely honest and trustworthy. My family and I moved here from Kansas City eight years ago and we were fortunate to have a co-worker who recommended Around the Sun H&amp;C when we encountered an air conditioner problem during our third summer. We were extremely pleased with the response time and the price was very reasonable. We have since called Sal yearly for H&amp;C check-ups and would certainly recommend this company for anyone who is looking for dependable heating and cooling service here in the Valley. I have been using Around The Sun Heating and Cooling for 3 years. I been very satisfied with their honesty and repect. It took me so long to finally find the right AC Contractor for me! We recently had “Around the Sun Heating-Cooling Inc” replace the heat pump at our residence and they were great. They were both fast and careful. I would recommend them to any home owner. 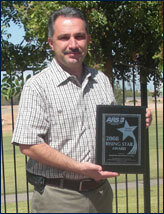 Sal has been in the air conditioning and heating field for over 21 years. He prides himself on outstanding customer service and customer loyalty. 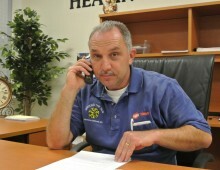 Sal welcomes your air conditioning and heating calls - anytime! Ana has been the primary contact for all the accounting, sales tax, payroll and the payroll liability for Around the Sun since they have been in business. Ana starts her day with a smile and, as the likely person to answer company phones, you can expect she will share that smile when you call our office. 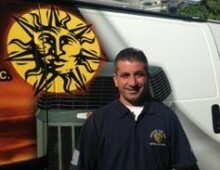 Owner Sal Affas' son and future owner of Around The Sun Heating & Cooling. Experienced Technician on service calls and installs since 2008. 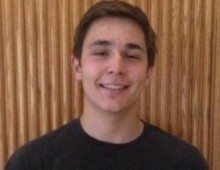 Alex has also been gaining valuable experience assisting with the daily office and business activities.